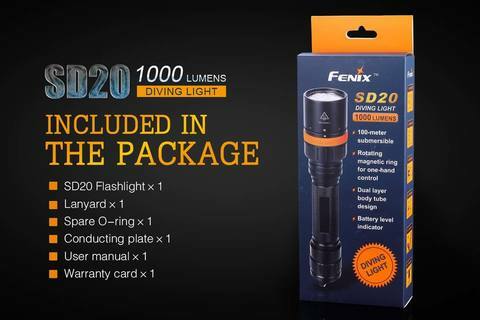 Fenix SD20 diving light is specifically designed with the diver in mind. 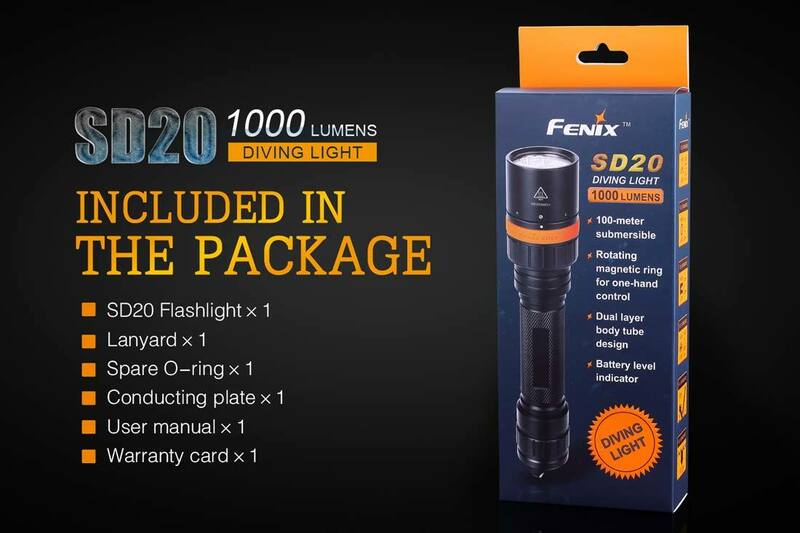 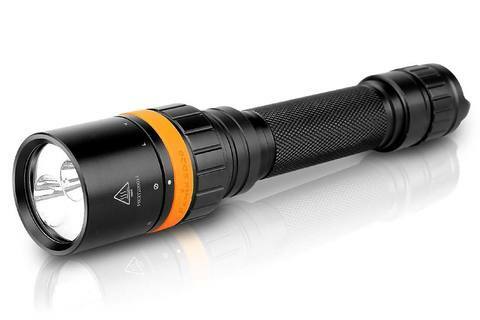 A maximum 1000 lumens, 564ft (172m) of beam distance, and waterproof up to 100 meters, allows you to explore the depths with confidence and safety. 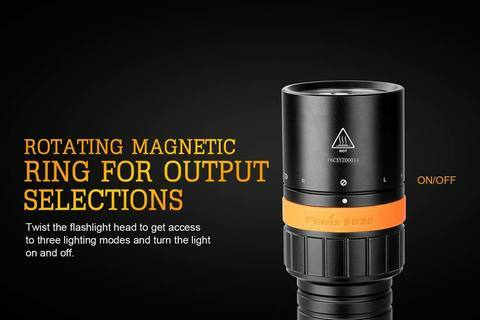 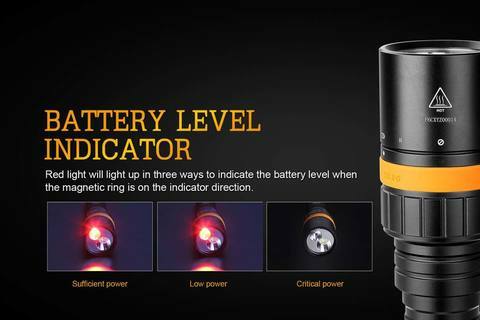 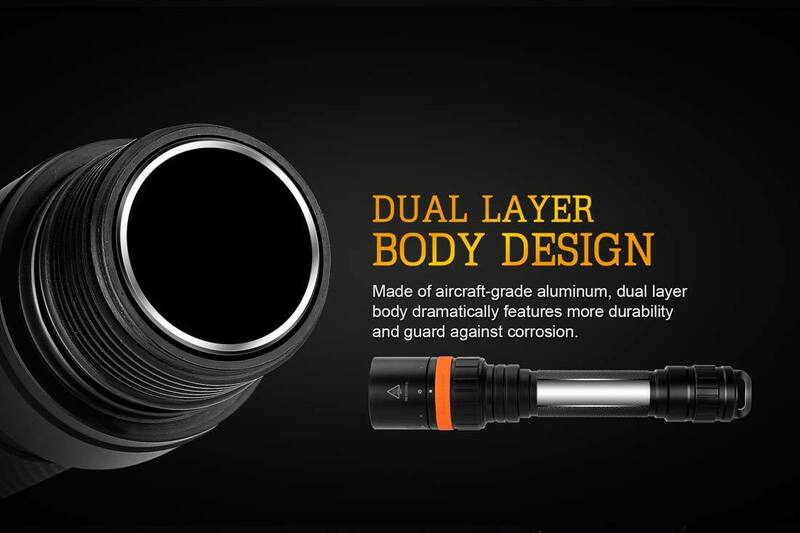 Easily choose between the different modes with one hand via the rotating magnetic ring on the head of the flashlight. 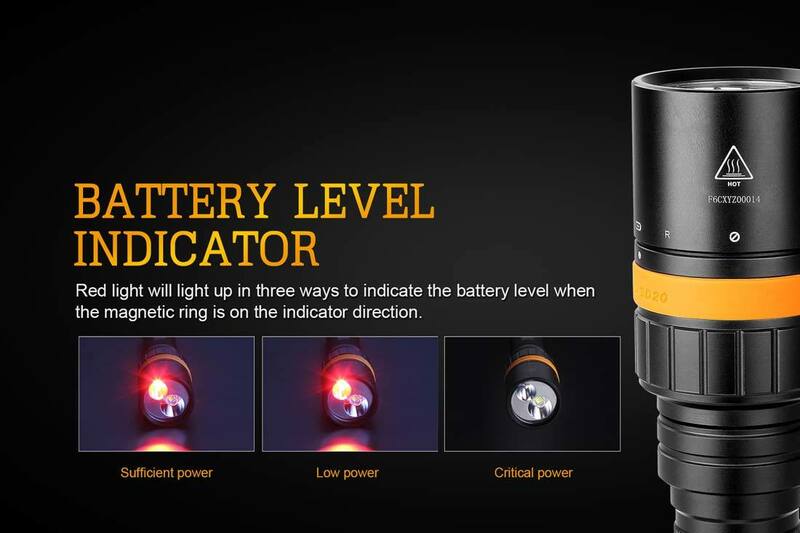 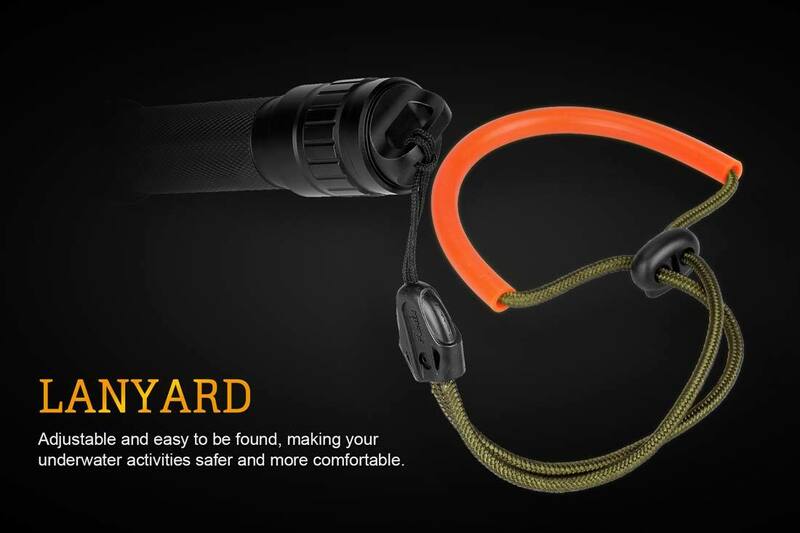 Always know your flashlight’s remaining battery life with the built-in indicator and never lose your light with the bigger button hook and premium included lanyard.